Prairie Street Mennonite Church, Elkhart, Indiana, is a congregation of Indiana-Michigan Mennonite Conference and part of Mennonite Church USA. The first meetinghouse was built in 1871 on the outskirts of town. The church building today, at 1316 Prairie Street, stands on the original site. The Mennonite world would see widened horizons with the move of John and Salome Funk and family from Chicago to Elkhart on April 6, 1867. The family left a thriving lumber business in Chicago, 100 miles away, to further their fledgling publishing enterprise in this northern Indiana village of 3,100. The move took place on John’s 32nd birthday. 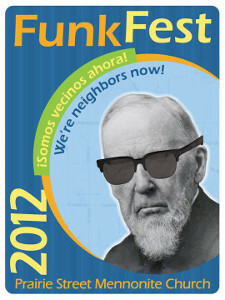 The Funks were the first Mennonite family to live in Elkhart. 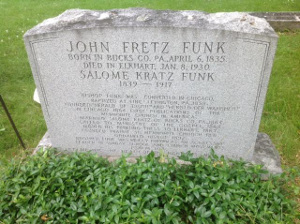 Funk, familiarly known as J. F., was founding editor of The Herald of Truth, the first religious periodical in the Mennonite Church. He started the publication in both English and German while still active in the lumber business. The first issue appeared January 1864, printed by a firm at 93 Randolph St., Chicago. At first the company operated as John F. Funk & Bro., a partnership with Abram K Funk. In 1875 the company secured a charter as a stock company and took over the assets and work of the firm. The stock company functioned for all of its 50-year charter. In addition to the Herald of Truth, the firm published other literature for the Mennonite Church, and did job printing of books, textbooks, catalogs and other materials for local, national and international customers. 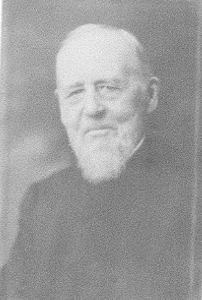 John F. Funk, lumberman, publisher, pastor, bishop, change-minded force among Mennonites in the 19th century. When the Funks moved to Elkhart, most of the village’s churches had yet to be organized, though the Presbyterian church was begun in 1844. The Congregationalists and the Presbyterians worked together until 1869. When the city began to grow, both groups felt that the Congregationalists should organize their own church. The first Roman Catholic church, St., Vincent DePaul, was organized in 1855 and built on their present site at the corner of Main and Prairie Streets in 1868. St. John’s Episcopal Church, 226 West Lexington, was organized in 1867. 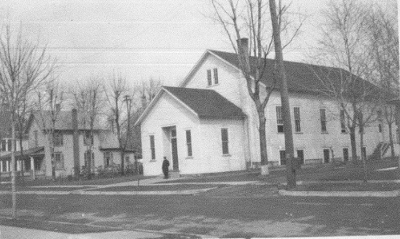 The Mennonites in Elkhart moved into its own building, a block from St. Vincent DePaul Church, on November 26, 1871. On November 28, 1892, the congregation made plans for enlarging the building by adding an extension of at least 20 feet to the east end and installing a furnace in the basement. In 1901 the entire building was raised and a new entrance built on the west (front) end. The home of Malinda Blosser Mumaw and Dr. Henry A. Mumaw and family is visible on the left. The Mumaw home became the church parsonage and before being razed in the 1970s, served as a classroom of Elkhart Child Day Care Center. Communion was held on Dec. 25, 1871.The charter members were John F. Funk (pastor), Salome Kratz Funk, Michael Keagy, Henry B. Brenneman (deacon), Matilda Blosser Brenneman, A. K. Funk, Joseph Summers, Barbara Sommers, Martin D. Wenger and Malinda Blosser. The trustee minutes record: “Services are held every Sabbath evening in the English language, and every two weeks at 10:30 A.M. in the German language. A Sabbath School is held in connection with the Church, and meets every Sabbath morning at 9:00 o’clock.” The original building was 32 x 36 feet. A. Mumaw was among the many whom Funk drew to Elkhart. He came to head up the job room at the Mennonite Publishing Co. On his own he started the publication, Words of Cheer and later transferred it to the MPCo. In 1886 he graduated from Hahnemann Medical College in Chicago and set up a medical practice in Elkhart. In 1894 he founded the Elkhart Institute which in 1906 became Goshen College. In 1898 he opened the Elkhart Normal School and Business Institute, later know as the Elkhart Business College. Building additions and a fire! 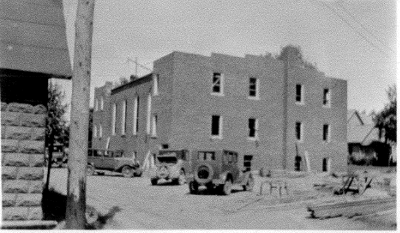 Construction after the 1931 fire, looking west. The building was damaged to such an extent that it seemed wise to erect a new one. After a prayer service in the burned building on March 23, 1931, congregational members assembled to tear down the structure. 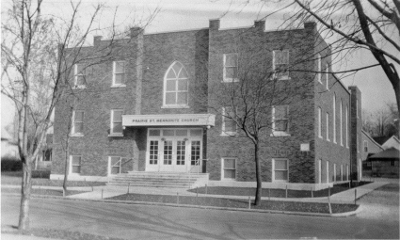 From February 22 to July 26, 1931 worship services were held in the nearby Roosevelt School Auditorium. The first service in the main sanctuary was held on December 17, 1933 when John E. Gingrich, who had been ordained to the ministry the preceding Sunday, preached his first sermon. Photo taken in 1938. For the first 15 years membership did not exceed 16 persons. In 1909 membership stood at 109. The increase continued until membership reached its peak of 370 by 1940. Sunday schools and church plants in various locations in Elkhart County led to the founding of Belmont, Pleasant View and Roselawn Mennonite Churches. Membership on the centennial anniversary in 1971 was 350. Current attendance is 100-125. 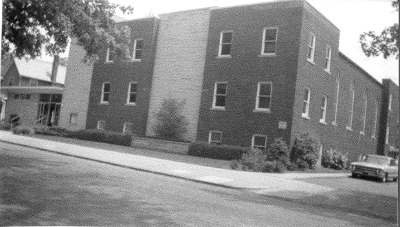 In 1959-60, a 50 x 90 foot annex with basement was built and the sanctuary improved at a cost of $125,000. The church building after addition and renovations. An addition in the 1990s on the east side of the building provided offices for pastors and administrative assistant and a covered drive-through canopy. An elevator was installed to provide access to three floor levels. Adaptations were also made to a number of benches to accommodate wheelchairs and electric scooters. 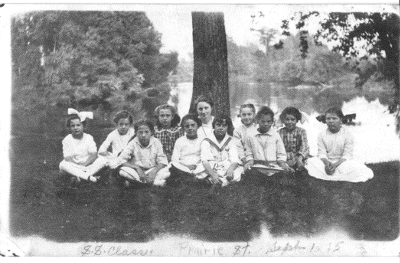 Sunday school picnic, September 1, 1915, Edna Grosh, teacher. Founding pastor John F. Funk (and other leaders) made myriad positive contributions to the ongoing Mennonite story in North America and globally. With others gathered around him, Funk promoted Sunday schools, evangelism, missions, Mennonite history, higher education, young people’s meetings, women’s mission and service organization, mutual aid association, relief work, immigration of Mennonites from Russia, unity and peace witnesses. A shift back again to congregationalism took hold in the mid-1940s and following. Fortunately also his publishing work was salvaged by the organization of a conference (MC) Publication Board (1908) and Publishing House; the school which he had first encouraged (then opposed), Goshen College, stepped into the place of progressive leadership, and the General Conference (MC) which he long and vigorously advocated (though later failed to support) became the unifying factor in his church.” John F. Funk died January 8, 1930. In recent years the congregation has held an annual Funk Fest to both probe and celebrate the five leading facets that brought the congregation into being, including mission, music, migration, mentoring and media. Each of these echos with Funk’s sermon-opening quotation of Psalm 103, “Bless the Lord, O my soul.” To God be the glory. Download the PDF version of Our Story.